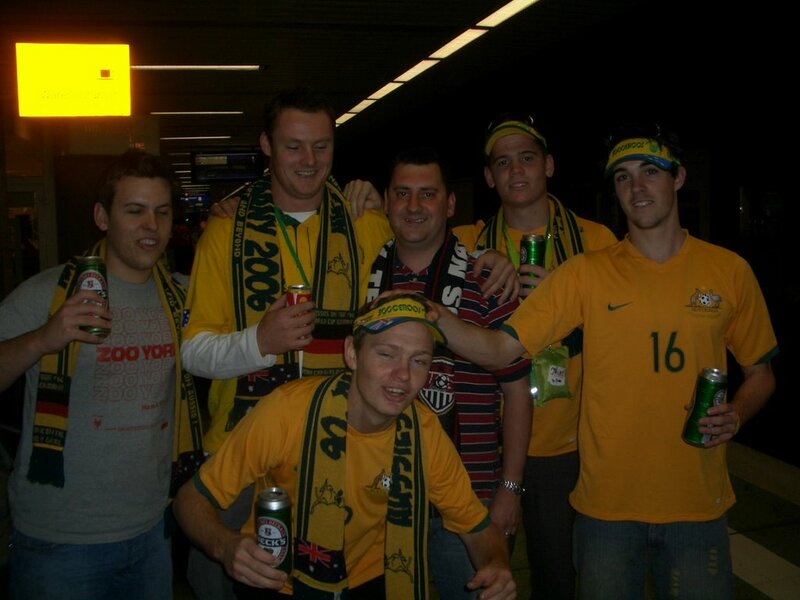 The motto of the 2006 World Cup was "A Time to Make Friends" and waiting for the train we made our first- a group of fans from Australia. The Aussies, who go by the nickname "Socceroos," were making their first World Cup appearance since 1974, and their fans appeared ready to party. Already busy downing beers while waiting for the train, this group was in a rollicking, joyous mood, despite a long journey from Sydney to Hong Kong to Frankfurt. 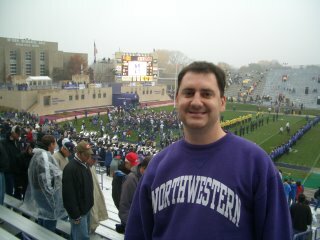 And we hope they had a good time, because one member of this group quit his job as a local broadcaster to make the trip. Fun loving group of Aussies. The 30 minutes we spent with them was enough to turn us into quasi-socceroo fans. They refered to our flight time as "the first cup of coffee" compared to their trip from down under. They also had a great joke about Ronaldihno playing Australia 11 v 1.